Lund February 2015: Zaplox mobile keys have been in commercial use in SkiStar holiday dwellings since 2011. They have now been rolled out to new SkiStar properties, and at the same time show a much higher usage level, indicating that mobile keys as a service has been fully established in the mind of the guests. Zaplox mobile keys open doors with a mobile key app that the guests easily download to their smartphones. 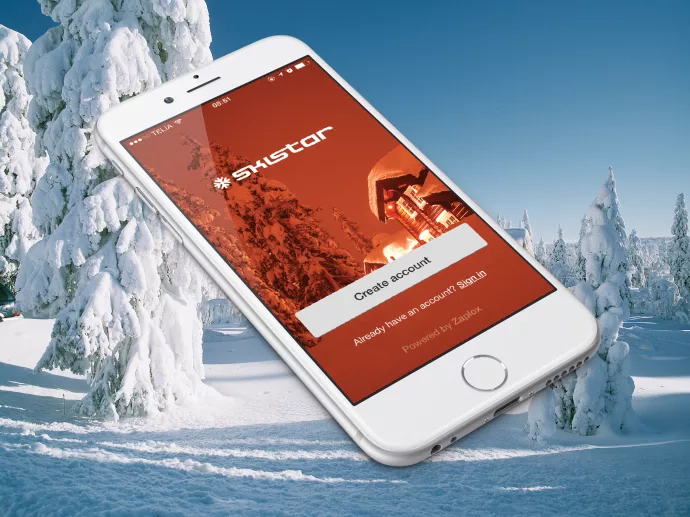 This makes key handling extremely efficient for SkiStar, since the guest doesn’t need to pick up any keys, and can check in and out through the app. Moreover, the app can be customized with a lot of revenue driving smart services, like restaurant offers. 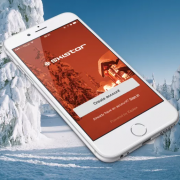 ”We can see that our mobile keys are used more and more frequently and really make life easier for both the guests and the ski resort. On the same number of cabins as last season, the usage level is up 60%, and at the same time there are less den 2% that don’t manage to open the door correctly. Our system has been in commercial use since 2011. It can support all locks and access systems and works on all smartphones, and now we see that it also has been established in the minds of the guests, as something really useful and time efficient. When you are on a holiday you just don’t want to spend time in a reception”, says Magnus Friberg, CEO at Zaplox. “We are extremely satisfied with the Zaplox system. What is good for our guests is also good for us. The feedback tells us that our guests are very pleased with this solution. And at the same time mobile keys save time and money for us, so we can focus more on guest experiences and less on administration”, says Peter Larsson, Development Manager SkiStar AB. “We are convinced that Zaplox mobile keys are the future’s key solution. It is part of an everyday behaviour of the end user, who nowadays is completely used to all different kinds of services and functionality that you reach via your smartphone. It feels good to know that we have simplified the entire process for both our customers and their guests”, concludes Magnus Friberg. Zaplox operates globally and offers hotels and companies efficient mobile keys and systems for opening doors with smartphones, as well as the possibility to create new services and added value through the use of mobile applications. Systems from Zaplox have been in commercial use since 2011, and are installed in hotels, holiday dwellings and offices. They are easy to use and work on all smartphones. The Zaplox system can support all locks, hotel systems and access systems, and can replace or coexist with key cards, code locks and physical keys. Zaplox was founded in 2010 in Ideon Science Park Lund, Sweden. SkiStar owns and manages holiday dwellings in Sälen, Åre and Vemdalen in Sweden, and Hemsedal and Trysil in Norway. The vision of SkiStar is to create memorable winter experiences as a leading operator of European winter destinations.